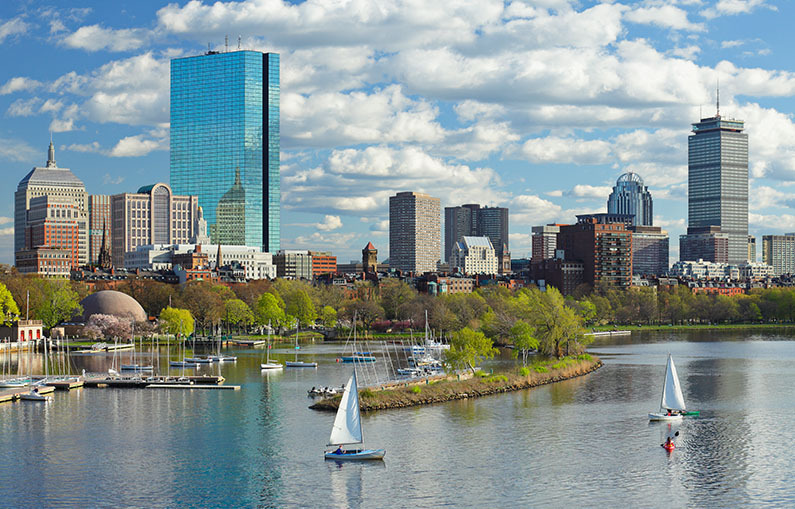 One of America’s historically-richest cities, Boston attracts more than 20 million visitors each year. The heritage of Boston is etched in stories; the future is etched in (wicked awesome) tradition. Whether you’re a Yankees fan (we won’t tell) or the total opposite of a baseball enthusiast, the illustrious longevity of Fenway Park cannot be debated. While the Red Sox have made their home here since 1912, millions of fans have called the historic ballpark and its contents a part of the family for generations. One of the most well known sports venues in the world, a day spent at Fenway is nothing short of an overwhelming atmospheric experience, punctuated with peanuts and Cracker Jacks. Even if you’re not visiting during baseball season, a short trip down Yawkey Way will remind you that in Boston, baseball season never truly ends. In a city revered for its history, the Boston Museum of Fine Arts remains one of the finest collections of artwork in the country. This city institution is home to more than 450,000 individual works of art, making its cultural presence unmissable. The works of Van Gogh, Gaugin, and Monet each claim a stretch of the gallery's walls, as well as the largest collection of Japanese works in the world outside of Japan itself. With performance art and film interwoven with more traditional exhibits, the MFA caters to all artistic tastes. Housed inside the Mary Baker Eddy Library, the Mapparium is a three-story tall globe made of stained glass, viewable from a bridge built within its interior. Opened to the public in 1935, the map has retained its original geography, making it representative of the world in a pre-WWII era. The visual effect is stunning, and certainly worth a stop: who would pass up a tranquil trip to the center of the Earth? If you want to learn more about Boston’s history, a walking tour of Boston’s Freedom Trail is the best way to spend an afternoon. Over a 2.5 mile path, 16 historical sites are explored, each one offering further insight into Boston’s storied past. With knowledgeable guides (in period-accurate costumes) leading the pack, groups filter across the path daily, stopping by meetinghouses, churches, and burial grounds. Most notably, the trip includes a stop at Faneuil Hall, the famed site where the doctrine “no taxation without representation” was established in 1764. To plan your trip to Boston or for an extended guide of things to do, visit the official Boston city guide at http://www.cityofboston.gov.